If you are interested in getting started with PackageFox rest assured. It’s easy to sign up for a free account. You can even check if your UPS account will work with PackageFox. That way you can feel confident with your new account. It is very easy to verify if we can work with your UPS account as we just need access to “Quantum View Manage” and instructions can be found here. If your account does not have access all you need to do is call UPS to have it added, there is no cost. Here is how you verify Your UPS Account. To make full use of PackageFox, please be sure you have your UPS account set up correct. Here are the steps to do that. 2. 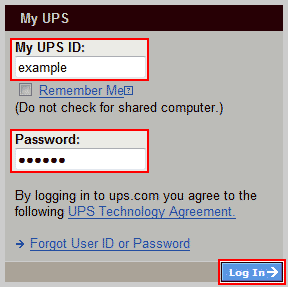 Login with your UPS account. 3. 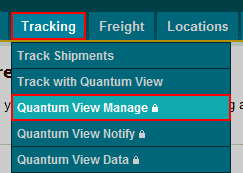 Select Tracking > Quantum View Manage from the top menu. 4. If you see the “Quantum View Manage” screen (below), then you’re all set! Go ahead and add your account to PackageFox. Otherwise…go to the next step. 5. If you see the “Quantum View Administration” screen (below), then you’ll need to call UPS at 1-800-PICK-UPS (742-5877) and ask for Quantum View Manage/Data to be added to your account for free, and then you can add your account to PackageFox. Once this is set up you can sit back and relax because you now have PackageFox working around the clock on your behalf. If you haven’t already signed up for PackageFox, why not go here and do it now? It’s free, fast, and easy to get started. You only ever pay when we get your money back, so there is absolutely no risk.